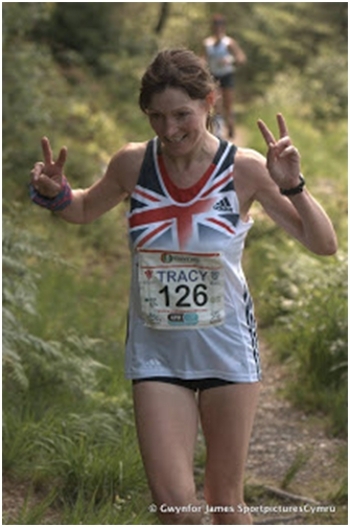 Tracy Dean, our newest signing to the TORQ Performance Trail Running team, recently had the honour of being selected to represent Great Britian at the World Trail Running Champs, which this year took place in the Gwydr Forest close to Betws-Y-Coed in North Wales. Here is Tracey’s report. 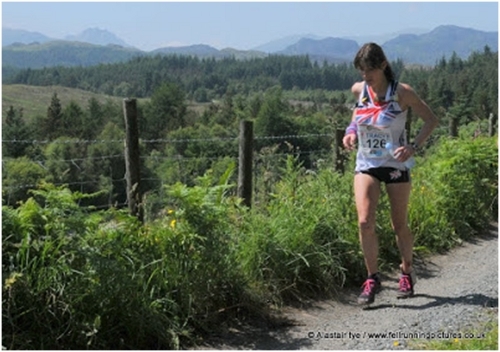 Being selected to run for Great Britain, after becoming the UK’s Trail Champion (a lil’ title I picked up at the Hoka Highland Fling race) has been an exciting experience. 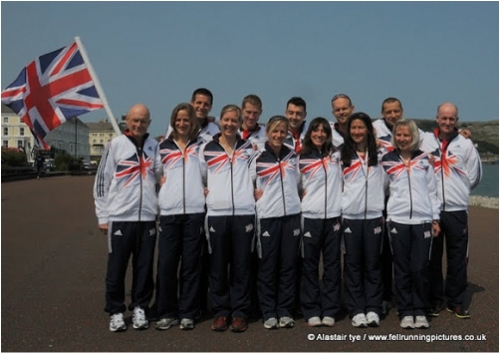 On the 6th July 2013, the World Trail Championships took place and I was chosen as one of the five ladies and six men to make up Team GB. Needless to say, in spite of nursing a calf tear back to strength and having a few stitches in my knee, following a fall at a trail half marathon (Wharfdale) a few weeks ago, I made it to the start line in one piece, if not slightly discouraged as training had suffered a little. Nutrition: TORQ gels every 30 mins and half a wholemeal turkey bap, (no butter) every 90 mins. Fluid: TORQ energy drink (vanilla) (and a bottle of water over my head). It was a beautiful day weather wise; temperatures reached a blistering 27 degrees, I adore the sunnier weather. The general plan was to start slowly and keep an even pace for each of the 5 laps through the Gwydyr Forest in Llanrwst, Conway in Wales. Initially, there was a short 3/4 mile road section, which would attract a fast pace for many, before a steady climb to Saw Bench car park, then a sharp lung burster of an ascent into the forest. The first 30 minutes was essentially a steady climb then, once you’re up, you’re up, knowing that in an hour ish you’ll be coming down again. So, with all good intentions, and in spite of planning to start slow and even paced, I was inevitably carried away with the pace as the gun went off and sped off with the rest of the pack. The climbing into the forest, however, kept it relatively safe and even paced for the first part of the lap. The problem and, to be honest, the misnomer for me was that this race had the potential to be fast and certainly suited those who have fast road legs or accustomed to flatter trail. There were no big climbs and the terrain, whilst technical in places, was short lived before you were on metalled path again. During the first lap, team mates Jo and Fionna (Scottish Trail Champion 2013) sat behind me. The three of us chatted and ran and, as I forgot myself, a Canadian guy and I squealed and whooped as we ran alongside Lyn Park; I adore playing in the trail – we had fun. Nonetheless, I usually run alone during a race, I get in the zone and plod along. The company was inspiring, yet I was painfully aware that I was running too fast; I was being swept along, this was not my race yet and I didn’t feel that I could ease off the gas pedal and be smart. Just as we came into the first Checkpoint at the Outdoor pursuit centre, Jo turned up her gas; she is super fast and has a solid road and trail background, having just completed Comrades in a very respectable 4th place. 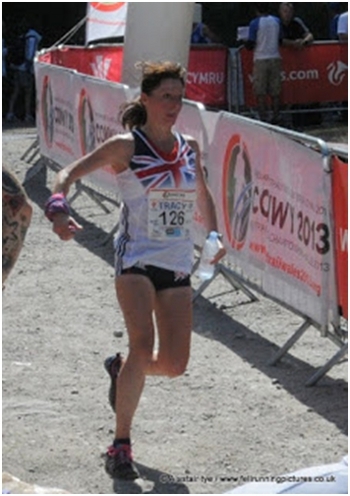 She was always the favourite for the GB women’s team and was always going to do remarkably well during this race. She timed it perfectly as the TV crew ran with her and, from that point on, I didn’t see Jo again until after the race. You’ll be able to watch TV highlights, a 30-minute programme which will feature on Channel 4, Eurosport and Sky, to be first broadcast by Channel 4 on 4th August at 7.30am. In terms of my fuelling strategy, I’d planned of taking a TORQ gel every 30 minutes. This meant being handed two at each check point by the GB support team; one to use on the way out of the check point and one to tie into my race vest. Check points were every 45 mins apart (or there abouts). There is no stopping at the check points, you literally run through them with your crew handing your desired (pre planned) fuel. The night before the race I’d made up 10 bottles of Vanilla energy drink and, at each fuelling station, I was handed one of these too. I had an emergency suppy of TORQ bars and used two of these during the race. Finally, as I like savoury too, I had half of a turkey bap every 90 mins. Fueling was perfect. After the first check point, Fionna dropped back a little; she too felt that she had gone off too fast and so, by the end of the first lap, I was running alone and settled into my race. The terrain was everything you would want out of a trail race; forest floor, rocks, track, trod, green and mud. Whilst the weather was unaccustomedly warm, there were plenty of moments of respite when the trees offered shelter. Besides the two checkpoints, there was a water station set up on the course which was a life saver as I didn’t want to tip my energy drink over my head to cool me down; too sticky in the heat! I admit that, whilst I’ve not competed in a ‘lapped’ route previously, there was something reassuring about it. It enabled me to gauge my performance, although observing that I was slowing down lap after lap sooner than I had anticipated, was not giving me any confidence that I was even going to finish. Regardless, I maintained what I believed to be a ‘steady pace’ (no gps’s to tell me) and tried to focus on what I was doing. Lap three, in spite of it being a lull period, was the point where I started to overtake some of the faster starters. From that moment onwards, I slowly but surely began to move up the field. In terms of my team mates, Jo was inevitably in front and Fionna just behind me, Isobel and Sandra were a little further behind. I learned later that Izzy had taken a ‘wrong turn’ in the later part of the race which put half an hour on to her finish time. Brave her, to carry on and try to pull some of that back; a mark of resilience if ever I’ve seen it. Sandra was the only other person who’d tried to put a time to her race plan and it was pleasing that she finished roundabout in the time she’d specified; someone who knows her capacity well, I’d say. I had believed that I was capable of about 7 hours 30 minutes on this course, so wasn’t too far off in the end. By lap 4, Fionna and I spent some time together before she started to pull away. She was solid and consistent. I, on the other hand, had got this race all wrong somehow! Ricky Lightfoot, one of the GB male team members, came breezing past. I had been lapped. gulp, but who better to have lapped me! He led the race and finished in the same position, remarkable race for Ricky. His outstanding performance, coupled with the strength of the other GB chaps, secured the Gold for men’s team. The final lap was the most exciting for me. In hindsight, I’d not been race focused, not how I believe you need to be for this type of event. Perhaps knowing that I was never going to win or come close made me far too relaxed about the whole thing. However, on the approach to the final checkpoint, I was informed that we were sitting in bronze position. ‘Do not let the Canadian girl catch you, every second counts’ is what I was told. The bronze position was resting between GB and Canada. This is where it got interesting for me; I was faced with a challenge. When I’m faced with a challenge I pull things out of the bag, suddenly I had a realistic focus again. ‘I’m on it’ I whooped as I sprinted out of the checkpoint’. I had convinced myself (maybe because that’s what I needed to do to perform) that the Canadian girl was on my heels and so, I ramped it up. I started to run. I had about 4 miles to go and I was ‘not leaving Llandudno without a podium finish’, (is what I was telling myself). I sprinted harder and started to overtake more and more folk. French lady, Maud Gobart, the winner at the 3rd Trail Championships in Ireland two years ago, was just in front and, as I overtook her, she said ‘I’m not used to this flat’, and started to make circles with her hands, she wanted more mountain is how I interpreted her struggles. Where on earth had this strength come from? It confused me as I had truly believed that I was going as good as I could have, up to that last check point. I believe mental states have a lot to answer for. This is further indication of how little I yet know my physical capacity but I’m learning and gaining more confidence with each new experience. The final little climb was a very short, sharp road section before swinging a right and descending on trail. I flew that tough little hill and when I hit the top I said, out loud, ‘that is the bronze’. Yes, mental states have a lot to answer for. You can choose to see it as arrogance or you can choose the reality in that it’s just me trying to get the best out of myself and being brutally honest about it here. By the last road section, I was close to anaerobic threshold, ‘jeez, strong finish’ shouted Amy Rusiecki, a USA runner, as I sprinted past her. The thing is, I felt like I could have kept this up for another few miles at least and yet, the race was over, the finish line appeared sooner than I was expecting, the race was at it’s end, it all felt so, so premature, I needed more time! 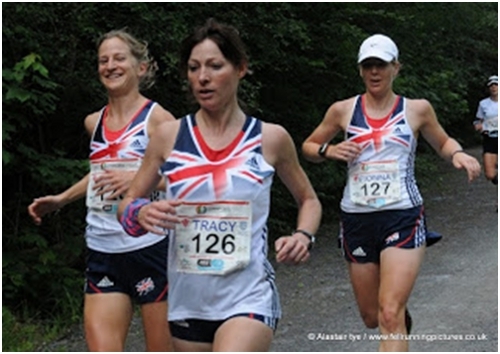 I was 14th female, and third counter for the GB ladies team – not bad for a début maybe? A final observation and one that was made obvious to me by another is that these types of events are the epitome or gem of a runner’s experience and of any athlete’s experience. How amazing to have the opportunity to represent your Country; it is a dream for most. Athletes work hard, they dedicate their lives and yet such a major event gets very little publicity compared to events that are privately administered. It is hoped that Trail and mountain running of this nature ie World Championships, will one day get the recognition that it deserves. So, a huge thanks to all who have put it out there for trying to acknowledge the sheer talent that the trail and mountains attract.